Welcome Home! Move right in to this beautiful high ranch on a fabulous tree lined street. This warm and inviting home has it all beginning with beautiful curb appeal. Features 4 bedrooms, 2 full baths, family room, den/play room, with sliders to large rear yard, kitchen w/side door. 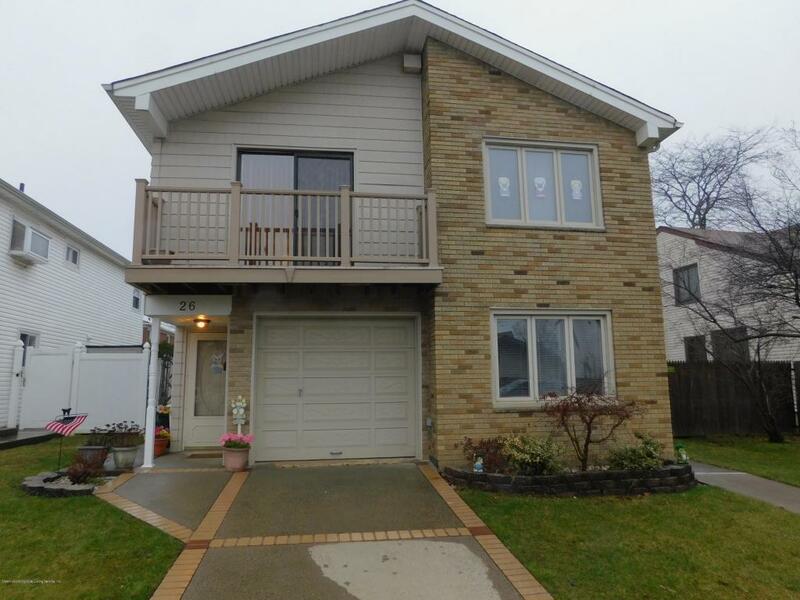 Master kitchen has maple glazed cabinetry, over sized window for great lighting ceramic flooring, large dining room with ceramic floors, beautiful hardwood floors throughout, Full bath features imported Italian raised ceramic tile, fully renovated 1st floor full bath and summer kitchen. Pella and Anderson sliders, whole house fan, pull down stairs to attic with flooring, lighting and automatic attic fan. All large rooms with lots of living. All lighting fixtures stay except for dining room chandelier.